The I-Graph XS Chromatograph is an economical gas analyser designed for the laboratory. The compact bench-top version weighs just 3.5 Kg and is a multi-functional chromatograph. It is ideal for both one-off and permanent analysis. The standard version of the l-Graph XS chromatograph is specifically-designed for laboratory use. Thanks to its integrated vector gas supply, it is portable and so ideal for individual applications. It’s very short measurement cycles allow for short-term analyses. The user is kept informed of its status via electronic monitoring. Its integrated pump can also analyse samples without the use of pressure. The device’s touch screen also allows completely independent usage and all its key functions can be accessed via the display. Measurement data and results are instant. 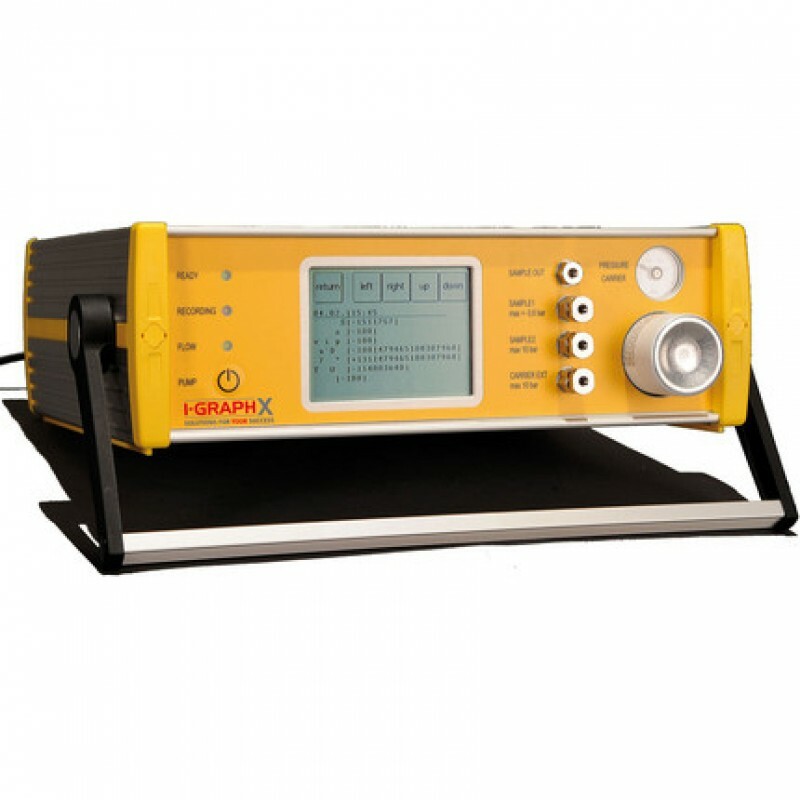 The l-Graph XS can be connected to a PC for graphical and technical data evaluation. The required GCM Manager software comes pre-installed. Power: 15 to 90 W max. I-Graph XPX compact version for EX1 zones (areas where there is a risk of explosion).